The people are rising up in protest. Today my inbox theme is of people emailing me with responses of the questions they are putting to the Establishment — at universities, institutes, and political parties – to the ABC, UWA and The Greens in particular. In all the cases they received answers that deny there is a problem, but between the lines you can tell that those forced to write the replies are feeling the heat. And may the heat escalate. I’ll be publishing as many as I can. 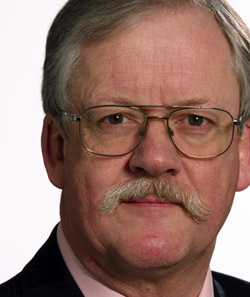 This story below came in this morning about Roger Helmer MEP (UK), who was invited to speak to the VC of East Anglia (ie. Climategate central). He asked if he could bring “two friends”, which was fine until they turned out to be Monckton and Delingpole, at which point the UEA’s staff were suddenly forced into a demeaning dance, doing all they could to limit the damage by artificially splitting up the group into separate appointments. Squirm squirm squirm. There is fear in their eyes… why go to so much trouble to prevent a few skeptics being in the same room at the same time? Apparently protocol would not allow the VC to meet “political activists”. It was absurd that Lord Monckton and I, who know each other well and have worked together on the very issue we had come to discuss, should have two separate meetings with the VC. On arrival, I found Lord Monckton already there. Stuart Agnew and I were ushered into the VC’s office, where we found the VC with three CRU professors – though not Phil Jones, nor the others whose names have become celebrated in the e-mails saga. I immediately made one last appeal. It was absurd that Lord Monckton and I, who know each other well and have worked together on the very issue we had come to discuss, should have two separate meetings with the VC. But the VC was adamant: a joint meeting would create an unacceptable precedent. Monckton would have to come later. It was the VC’s university, so I reluctantly accepted his dictum.Then we got to the business of the leaked e-mails. At one point the VC referred to sceptics as “climate change deniers”, and I pulled him up sharp. I have yet to meet anyone who denies the plain fact that the climate changes. Indeed if the climate never changed, we should hardly need a word to describe it. The climate is only interesting because it changes. Meantime the VC and his colleagues simply denied that any wrong-doing had taken place. The quotes which seemed to imply guilt were “selective”, and had been “taken out of context”. The VC relied heavily on the several academic/legalistic reviews of the scandal, in which the establishment has striven at all costs to justify the e-mails, to deny any guilt, and to protect the current climate orthodoxy. The VC insisted that if I had not read all of these reports (the thickness of a telephone directory) then I was in no position to comment. But the quotes are quite clear. The “Hockey Team”, which has a stranglehold on the IPCC process, and of which the UEA/CRU forms a key part, did indeed conspire to prevent the publication of dissenting opinions. They have indeed sought the dismissal of editors of learned journals whom they found insufficiently compliant, and too inclined to publish other views. They did indeed cobble together unrelated data sets (without explaining what they had done) to ensure that their “Hockey Stick Graph” complied with their expectations, and in order (in their words) to “hide the decline”. They conspired to subvert the peer-review process. The e-mails are explicit. They are the smoking gun. They cannot be justified by any amount of context. As I said to the VC, if I catch someone with their hand in my back pocket removing my wallet, I shall conclude that they are a thief and a pick-pocket, and I shall be unimpressed if they tell me that I have taken their actions “out of context”. In a way I am reminded of a meeting earlier in the week, in Brussels, with three North Korean diplomats. They presented an entirely fanciful account of peace, freedom and prosperity in North Korea, and seemed uncomfortable when I explained that we knew, and they knew, that their description was nonsense, and hopelessly out-of touch with reality. But as we and they knew, they were obliged by reason of their positions and their employment to parrot the Party line. I fear that the UEA is under similar pressures. H/t to Colin and Joseph Bast. Conservative Home has carried it to. 134 comments to Who are the deniers now? One type of warming I can believe in. And so, one by one, people are realising they have been had big time by the warmists. Let us hope the current trickle of realisation becomes a flood. Nay, a tsunami! Now we just want to know how the meeting with Lord Monckton went. With respect to Roger Helmer, I suspect the good Lord was more up to speed with the subject and Acton must have been quivering with rage at actually having to meet him face to face. Now with the Tea party movements ascension in the US, Lets see some real impartial enquiries! Front Row Seats Ladies and Gentlemen, Front Row seats! Now, who’s bringing the popcorn? I thought you guys might be interested in this comment I made today at http://www.abc.net.au/unleashed/40652.html#comments commenting on an opinion piece by Stephan Lewandowsky Climate change: are you willing to take the risk? It would be funny if it weren’t so sad. Whenever science comes up against a vested interest, the moral indignation goes into overdrive. I think the saying goes, “Hell hath no fury as a vested interest masquarading as a moral principal”. You are crowing in triumph when you should be hanging your heads in shame. Speaking of denial, how’s this for a classic example ? The author of this priceless prose? None other than our very own John Brookes. http://joannenova.com.au/2010/10/is-the-western-climate-establishment-corrupt-part-10-gore-orwell/ Comment 96. PS: In my humble opinion, Al Gore, in his “Inconvenient Truth” generated a scare campaign from which he could and did profit considerably. He preaches austerity and rising sea levels, while buying seaside mansions. Whenever he isn’t flying around the globe big-noting himself. The word hypocrite was invented for people like this. “Hell hath no fury as a vested interest masquarading as a moral principal”. Wouldn’t you agree that Al Gore, through his holdings in the Chicago Carbon Exchange and other environmental schemes, would represent a significant “vested interest”? And please note his “moral indignation” at those who would question his “science” (e.g. Sea levels will rise by 20 feet in the 21st century) ? Big Al not only tells the whoppers – he lives them! Truly, it wouldn’t be so funny if it weren’t so sad – you should be hanging your head in shame to claim him as your own. I certainly can`t think of anything from a financial angle, (unless it is a reticence to pay exorbitant private electricity bills arising from exhortations to prevent anticipated climate “disruption” which has been deemed by some to be “likely”, based on modelling projections incorporating seemingly immutable assumptions). Government grants are vested interests. Speaking engagements for a small nominal fee is a vested interest. Committee boards are vested interests. “Peer-reviewed” papers published are vested interest. Book deals are vested interest. Tenure at a University is a vested interest. Having associate backing is a vested interest. Government appointments is a vested interest. Media coverage is a vested interest. And we have no idea if investments are involved to futher the “vested interests”. Meanwhile, real research and a vast amount of science is lost or suppressed for the scam of “Global Warming”. Too much science has funding and resources wasted on a single area of temperature and CO2. When the funding cuts come, all of science will suffer. Science? It’s pseudoscience you support – and the really sad thing is that you seem unable to discern fact from fiction, and hence science from pseudoscience. And a moral principal? What’s that? A moral headmaster or titular head with wholesome morals. All rather sad really when the principles are confused with the principals, or did you mean a principled principal? And no, I am not ashamed nor crowing with delight either – the tragedy is that so many of you are easily gulled by false prophets and what, pray, will be the next cause celebre you gulled will rush to proselytise next? Biodiversity? Still got no empirical evidence for anything above 1.2 degrees eh? you take off your CAGW blinders and embrace reality. Perhaps enlightenment will come to you, perhaps not. In the final analysis your personal enlightenment doesn’t really matter since science trumps self righteous indignation every time. Indeed, who are the deniers? - They had to dodgy up graphs (Hockey stick) to hide the MWP to ‘prove’ the current temperature rise is ‘unprecedented’? – They had to homogenise temperature data and then lose the notes explaining why the temperature data was homogenised to emphasise warming including specifically in many countries including Australia, New Zealand, USA, Europe, Russia and for the Arctic?? – They conspired to delete emails which proved they were trying to obstruct normal scientific process? – They conspired to stop the peer review and publishing of papers which disagreed with their theories? – They did not readily point out obvious flaws and untruths in the ‘An Inconvenient Truth’ and the IPCC summaries which were deliberately designed to exaggerate any climate change pointers and predictions? – They were not prepared to engage with scientists and statisticians who raised questions about their data and modelling and instead put up obstacles to stop what is customary sharing of scientific data and research which allows others to test your theories? – I have never heard one climate alarmist agree to the idea of having a Royal Commission where those giving evidence would be under a legal obligation to tell the truth or risk severe penalties? – Only after significant pressure from disgruntled members did the Royal Society back-track from stating a position of certainty to a position which acknowledged many areas of uncertainty and areas where we lack knowledge about the climate? – Their predictions have gone from certainty of increasing rate of temperature rise and widening droughts, to vague predictions of climate disruption where any extreme weather pattern is now evidence of global warming? – Leading scientists from Russia, China and India dispute even the basic temperature data being used for their countries. – When taken to court to justify the temperature data which the New Zealand weather bureau NIWA has been publishing, NIWA chose to defend themselves simply by stating they have no constitutional obligation to collect and distribute accurate temperature data rather than defend the accuracy of their data? – India has chosen to set up their own climatic research unit because they state they do not trust the IPCC? – When there were hot spells, continued droughts or records of rising temperatures, they were ready to claim it as evidence supporting anthropogenic global warming, but when temperatures stopped rising, there were record cold spells and droughts broke, they changed to some how claiming that too was evidence of AGW? – When the world expert and IPCC author on hurricanes disagreed with what his IPCC masters wanted him to say about hurricanes he was dropped and his evidence ignored? – They can’t explain why temperatures have levelled out even though their models predict temperatures rising at an increasing rate? – their predicted ‘hot spot’ in the tropical troposphere hasn’t eventuated? – Even though they say the current average global temperatures are too high and the predicted ones are going to cause even more problems, none of the alarmists have nominated what is the ‘ideal’ global average temperature? – It has taken billions of dollars in research to arrive at their current position of ‘certainty’ yet climate alarmists continue to demand ever increasing amounts of money for research, into their ‘settled science’? – Their predictions of increasing melting of Arctic sea ice has not eventuated? – Overall Antarctic ice has increased against their predictions? – Ocean temperatures are recording falls in recent times against all their theories? – They can’t tell us what component of that warming was caused by human CO2 emissions and what was natural warming? – They can’t tell us what effect other known naturally variable factors have on climate change, including deep ocean currents, changes in the earth’s magnetic field, flows within the earth’s core, sub-aerial and sub-sea volcanic activity, solar activity to name just some which are not factored into the IPCC’s climate models? – They can’t tell us how much each of those naturally variable factors above impacted on the warming recorded since the little-ice-age? – They can’t explain why temperatures didn’t rise between 1940 and 1970 and since 2000 when their theory calls for temperatures to rise at ever increasing rates as human CO2 emissions rise? – They have no evidence that the earth’s climate can change dramatically and irreversibly due increased CO2 levels? – The use of gas as an alternative power generation source as it produces far less GHG’s? – The use of nuclear power, either the current fission alternatives or fusion (with thorium) which produces minuscule GHG’s compared to coal? – The use of hydro-electricity even in developing countries which lack natural resources? – are carbon credits trading at only US$0.05 per tonne currently on the Chicago Climate Exchange? – have carbon emissions in Europe not declined since they introduced an ETS in 2005? – are carbon credits trading at $20 per tonne in the EU and a recent study claims that to just halve emissions the carbon price would need to be $175 per tonne? – is California, once the worlds 5th largest economy, now it’s 8th and falling, and once the world’s leading economy in legislated reductions of carbon emissions and the compulsory introduction of renewable energy, bankrupt and dealing with increasing unemployment? – Has Germany, often put forward as the shining example of a strong economy which has also taken great strides to reduce carbon emissions, achieved less than half the economic growth of Australia over the last few years and has rapidly declining economy and growing unemployment and is now rethinking renewable energy subsidies and levels of immigration? – Is Europe, the leaders in the introduction of emissions trading and the subsidised introduction of renewable energy, struggling with massive government debt, declining economic growth and rising unemployment. – Have some of the leading ‘green’ economies in Europe including Ireland, UK, France, Spain and Portugal had to make massive government expenditure cuts, and walk away from previously promised ‘climate change’ expenditure? – Have some European countries reduced or ceased the promised subsidies and electricity purchase plans for private and home renewable power installations? – Has the worlds largest manufacturer of wind turbines recently slashed it’s work force by 12%? – Has the manufacture of solar and wind power generation equipment been growing strongly in the countries without an emission trading scheme, primarily India and China at the expense of European Countries with and ETS? – Has renewable energy not been developed already as a good economic, job creating alternative given the power of solar, thermal, wind, waves and water flow have been harnessed by humans since before electricity was invented? – Is the Australian Government not even allowing a debate on the cost benefit analysis of trying to avoid climate change versus mitigation and adaption? Whew, Jaymez, what a beaut! What can I say? We need to print it off and stick it in peoples’ letterboxes. On a similar theme this account between journalist Graham Young and Bob Ward and Robyn Williams. The Spin is in. Why you should be careful dealing with Bob Ward, Director of Communications for the Grantham Institute. Gore has lost it with the Chicago Carbon Exchange. I read somewhere in the last few days it is closing down. Wot!!!! – he’s working at the centre of a hot-bed of ‘political activists’, not to mention ‘number-changing monkeys’! Running away from debate seems to be pre-requisite for membership of the AGW alarmist fraternity. Jaymez: what a tour de force! The only thing I would add to your list is to all readers of this and similar sites is the evidence given by Professor Paul Reiter to the House of Lords (? 2005). I cannot give the link (my technology is not up to it!) but as an exposition of the manner in which the IPCC is formed it is quite masterly. I am only astonished that it is not quoted more often and more widely. Times are a changin! With the newly minted republican majority taking charge the buck will stop in the house of representatives, literally. All money bills must originate in the house. It will be extremely difficult for the EPA to get the funding it needs to sustain its war on plant food. In addition, all those green causes are going to be sucking wind! Funding for green UN boondoggles? I don’t think so! Oh, and when the house begins hearings on the CAGW scam I can’t wait for the failed wannabe carbon billionaire to have to sit there squirming and sweating. I hope they put him side by side with Lord Monckton. The senate was going to until the disinvited the Viscount. The republicans will have de facto control of the senate. There are too many democrats running for reelection in two years and if they stay the present course they will be unemployed and unable to “conduct the peoples business” (i.e. foist a progressive socialist agenda upon the U.S.). As the old saying goes “it” rolls downhill. The handwriting is on the wall! Time for a cup of coffee! Blue collar crime…white collar crime…white coat crime. Now there’s a logical progression for you. It would make a nice graph too! @ John Brooks # 6. Congratulations on what may be a new record time for the hiding of a comment! Actually, the proponents of CAGW are the ones who should be hanging their heads in shame! I notice you tend to make unsubstantiated claims and general statements that are void of truth or meaning. Well, thanks for at least sparing us another non sequitur analogy or comparison like your bicycle story yesterday! John, deep down inside you is a skeptic dying to get out. If you cannot think outside the box you will never be able to think for yourself and you will always be a member of the herd. Do you really want to be remembered as a man who blindly followed and lived a life without distinction? Quit basing your existence on an illogical appeal to authority. As I have written before, unless you are the lead dog the view never changes! Come on John, you can do it! I gotta love ya for coming along every now and then and reinforcing my conviction that I’ve been right for so long. Unfortunately they will stonewall until the bitter end. So the dominoes will have to be knocked over one by one. I think the fact they refer to someone with Viscount Monckton’s CV as a ‘political activist’ tells us all we need to know about them. I’m astonished that people still take this shameless alarmist (http://www.heraldsun.com.au/opinion/warmist-cant-take-the-heat/story-e6frfhqf-1225878118730) seriously despite all his dud predictions!!!! Looks like Obama is starting to wake up after the belting he took yesterday, I don’t think we will see any more cap and trade tricks attempted anytime soon. But will the Gillard numbskull have the sense to forget about a totally useless price on carbon I wonder? It’s good that certain academic thrones are being shaken, but I would be very wary of those moderates and lukewarmers who are turning on their alarmist colleagues. It is the survivors of Climategate, those who promise to build the better climate model, who promise to “engage” and “communicate” and so on, we should be watching hard. Some of these, who have become almost heroic figures to the skeptics, were touting their alarmism too recently to inspire confidence. Why am I banging on about these moderates? Because if they continue to favour carbon taxes, junk energy and emissions trading, then they are as dangerous as Mann and Hansen…and likely to be around longer. Let’s not win the battle and lose the war. Sorry to harp about this…but I live in NSW and just got my power bill! Well put Jaymez! And apparently I’m a “moral (ex-) principal” – I still have principles- and I’m still furious. Reading that post from Judith Curry, Martin Luther and his 95 Theses immediately spring to mind. The problem is not with the heretics, it’s the Church itself and the behaviour of its priests. It’s interesting that Ms Curry has identified the sort of feedback loop that people with no scientific training but lots of life experience picked up on immediately. A year ago, on November 19, this seemingly unstoppable juggernaut RECEIVED A MAJOR IMPULSE IN THE OPPOSITE DIRECTION with the unauthorized release of the emails. I have just been listening to the Radio New Zealand midday news (an hour-long program). The last item was about the unusual number of jellyfish being detected off the Queensland coast for this time of the year. And it is not just the numbers of jellyfish of a single species, but for all species, including one that they haven’t noticed before. Now please do not confuse me with somebody who cares about Australian jellyfish, ’cause I don’t. What I did find interesting, was the scientist they interviewed said she, “thought it might be due to the recent unusual amount of rain”. Rain? What about Climate Armageddon, and deluge of toads um, jellyfish? No! Nothing! No mention, whatsoever. Not a peep about climate change, global warming, or anything like that. It could be that the climate explanation for this is cooling, not warming, which of course would be inconvenient to acknowledge. If someone is investigating the different properties of layers of thin films of ferromagnetic and anti-ferromagnetic materials, they may perform an experiment, and suggest a reason for the behaviour they observe, and possible further experiments that could be performed. Another person in the field may disagree, and come up with a different theory. If one theory has better predictive power (i.e. agreement with experiment) than the other, it will be adopted, until something better comes along. That is science. You are not interested in that science. You have no vested interest in it. It is quite normal for a scientist to become overly attached to their theory. There is a famous quote to the effect that you don’t convince your opponents, they just end up dying (of old age – nothing sinister here!). None the less, science still works, albeit in fits and starts. It certainly isn’t perfect. There are many examples of scientists whose work was ignored or derided at the time, only for the next generation to realise that they were pretty close to the mark. There are famous cases of timidity too, where successive measurements of the charge on the electron only gradually converged on the right value because the experimenters didn’t want to disagree with Millikan’s results. What “you” have done is to go in, boots and all, not trying to enhance the science, but simply trying to demolish it. In this, “you” have stooped to endlessly repeating arguments that are wrong, besmirched the character of scientists you disagree with, and bullied them. Anyone working in climate science now probably feels as if they have to align themselves to the pro-AGW or anti-AGW camps, rather than simply trying to figure out what is going on. That is the result of you taking an interest in this science – not by doing science, but by blogs, misinformation, political pressure, and tours by litigious members of the idiot aristocracy. It does not help the science progress, and to this extent you should be ashamed. In addition, there seems to be this weird idea abroad that anyone should be able to understand the science. That we no longer delegate to experts, but that all of our opinions, no matter how ill-informed, are valid. I think its called post-modernism. It takes a long time and a lot of effort to get a real understanding of any part of science. Its like climbing a mountain – the more you work, higher you get, the more you see. What we have at the moment is morons in valleys claiming that what they can see is as good as what someone who is way up the mountain can see. In encouraging this view, by never correcting even the most egregiously stupid statement by any of the anti-AGW people on this blog, you do a disservice to science. There is indirect evidence, based on temperature changes between the last ice age and the current warm period. But, if you mean, “has some scientist taken a duplicate earth, doubled the CO2 and measured the temperature increase?” Then, no, there is no empirical evidence. There is indirect evidence, based on temperature changes between the last ice age and the current warm period. The ice age evidence in no way supports a high sensitivity. In fact, the ice core data supports the fact that there is absolutely no forward effect of changing CO2 concentrations on surface temperatures and that the only discernible causal effect is that changes in temperature have a forward effect on changes in CO2 concentrations. This is the exact opposite of what’s required to support CAGW. And yet you cite not one single example. Surely a man of you towering intellect can proffer just one measily example backed by scientific argument. Too hard I guess… easier to stick to the baseless statements and general verbosity. Jo seems to think that 1.2 degrees is the right figure, so she disagrees with you, as you seem to think that zero is the right figure. You talk to Jo, and when you’ve sorted out what you think, get back to me. I’m tired of putting up with your inconsistencies. Get your story straight. Where is the empirical evidence? We’re all still waiting. Oh FFS Bulldust@38, there are so many its hard to know where to start. OK. Just one, the incredibly stupid idea that the greenhouse effect doesn’t exist because the 2nd law of thermodynamics says so. But I have not the time to waste showing just why this idea is like your screen name. It is quite normal for a scientist to become overly attached to their theory. Here is a homework assignment for you, John. 1. Show by weight of empirical evidence where Jo has made arguments that are wrong. No weasel words, no cut and paste. Qoute, cite and explain the evidence that makes your case. 2. Cite examples where Jo has besmirched an innocent person. 3. Show us where Jo has acted as a bully. Let me put things into perspective for you, John. Many of the posters hare have related incidences where they were censored or blackballed by pro AGW sites. Jo has been EXTREMELY TOLERANT of those who disagree with her. Your continuing presence on this site, despite your constant barrage of inane, illogical and irrelevant comments, is indeed proof that Jo is kind to a fault. You are a hypocrite. You engage in the character assassination of a lady who has treated you with kindness and charity. If you wanted to impress someone here you would have cited instances, examples and situations to bolster your little hissy fit of a post at 36. You have two choices as I see it: you can either apologize to Jo or I will take off the gloves and teach you a lesson your mommy and daddy should have taught you a long time ago. I will make it my mission to logically deconstruct every statement you make on this site until you are reduced to a pile of intellectual jelly. Judging by your abysmal performance so far, your evident lack of class and character and your inability to demonstrate an ounce of manhood, decency or common sense, I don’t think we are talking about me expending a lot of effort to complete my mission. If you value your sanity and have the smallest shred of decency tucked somewhere in that black hole that you call your soul I suggest you dig deep and find it. May whatever God you pray to have mercy on you if you do not because I won’t. You know me and you know my meaning. Do not disappoint me, John! What a coincidence? We are tired of your inconsistencies, John. When you make a statement you had better back it up with facts or you will be called to account for it! An interesting article about the recent media coverage of Climate Change. “A Stormy Forecast for Climate Change Reporting”. Most editors saying that Climate Change does not engage their readers, and a programmer at the BBC says programs about Climate Change don’t rate. Another UK broadcast journalist said he was warned that putting climate change on prime time would risk losing a million viewers. The article goes on to say that the science is never settled, and condemns those journalists who exaggerated the claims of the AGW alarmists, or just took them at face value without checking the facts. Some of the journalists now regret their rejection of AGW sceptics, and wish that they had engaged with them earlier!!!!! It seems as though we’re getting through doesn’t it? Then there’s the actual climate. If the scientists and insurance companies are right, it will produce increasing horror temperature, drought and precipitation events as well as more natural catastrophes. How we adapt to a dramatically changing climate, if or when it emerges, could, sadly, become the most compelling story of all. if most journalists aren’t scientifically enough qualified to fully investigate the facts about AGW then surely they are less qualified to investigate the misinformation of the deniers. (emphasis added). If you’ve paid attention to what I’ve said, you would know that I claim a sensitivity of about 0.6C +/- 0.25C as the effect from doubling CO2 concentrations. In prior posts, I’ve described how to get this result from both theory and data. This effect is concurrent with changing GHG concentrations and there is no hidden, delayed or pent up effect in the pipeline as a result of any prior concentration changes. Compared to the 3C +/- 1.5C you want to believe, the actual effect is, for all intents and purposes, negligible. My value differs from some other skeptics estimates in the 1.1C +/- 0.3C range because I account for the half of the forcing power that’s radiated by the atmosphere into space and which never influences the surface. The IPCC quantification of forcing, relative to absorption, and that used by many skeptics, assumes that all of the incremental absorption heats the surface. I sometimes use the IPCC definition as well since the factor of 2 error is an apparent point of controversy, so to avoid unnecessary noise, I generally don’t dispute values in the 1C range. Besides, 0.6C or 1.2C, makes little difference as both are small enough that we have better things to worry about. There isn’t even any empirical evidence that CO2 can do enough to notice. In fact, no empirical evidence that CO2 is currently responsible for anything. Yet with essentially guesswork we should go ahead and wreck the economy of the world. Sorry John but this is what everyone objects to — no empirical evidence. There may be billions of human beings but not even one of them is a laboratory rat for some fool with a theory he can’t substantiate to do experiments on. Just one, the incredibly stupid idea that the greenhouse effect doesn’t exist because the 2nd law of thermodynamics says so. How could Jo believe in a sensitivity of 1,2 degrees? If she believed that was Jo’s position then why would you state this (your comment at 41)? [Jo thinks] the incredibly stupid idea that the greenhouse effect doesn’t exist because the 2nd law of thermodynamics says so. How can Jo believe in a sensitivity if she believes that the 2nd law of thermodynamics proves that the greenhouse effect does not exist? Let the deconstruction begin. Welcome to the Eddy Aruda School of Logic And Rhetoric. BTW, I employ the “Spartan Method” of teaching! Your days of getting away with idiotic statements such as this are over, John. You will start “explaining why” or I will intellectually crucify you on a cross constructed of your own words! Rereke Whaakaro, I have a lot of respect for you. As I recall from an amicable exchange I had with you a long time ago we both made similar career choices when we were young. The way I look at it is this, if John wants to bring a knife to a gunfight that is his choice. He either apologizes for his comments regarding Jo or I will continue to take him apart piece by piece! I don’t think I have responded to you before – but please correct me if I am wrong. So let me explain what I do. I read tens of thousands of words a day, sometimes even hundreds of thousands of words. My job is to exclude all of the “filler” words, identify the propaganda, and search for the one or two facts that are always required to make the propaganda work. From this, over time, we can actually establish some version of what passes for the truth. In your comment at #36 I am left with very few facts, but sufficient emotive words to leave me with an impression. That impression is that you honestly believe that science is done by consensus, with each scientist adding new bricks to the wall built by their predecessors, and placing them in exactly the right place and at the right time. I would opine that your view of science is a bit like a Lego construction. And there is nothing wrong with that. Except that it isn’t real. Science is all about conflict. Scientists are often extremely small-minded individuals who are cursed with large and very capable brains. There have been examples of people indulging in jealousy, competition for resources (often funding), back-stabbing, slander, sabotage, falsification of official documents … and so the list goes on. I know this, I am one of them, and I have a corner office! Jaymez # 15 has listed some of the crimes (but I suspect not all). Science does not proceed by fitting new facts into what has previously been learnt. Science progresses by people like me trying to prove that the existing consensus is actually wrong, and finding some previously unsuspected factor that can bring the previous hypothesis to its knees. Joanne has done this by pointing out that the “hot-spot” predicted by the models does not manifest itself in reality. So the models therefore must be wrong, and can therefore not be trusted in other areas. … if John wants to bring a knife to a gunfight that is his choice. That depends on how fast he is with the knife. Hey, but don’t let me get in the way of the deconstruction — actually, please make sure that I am not in the way … there is nothing worse than being down-range … it can ruin your whole day. Oh, and by the way, and the respect is mutual. You last sentence is so true and illustrated today in reports from Otago University (NZ) with their discovery ( together with a US researchers) for the basis of new drugs for stroke victims. The guy said they set up the experiments expecting a particular set of results but got something completely different (ie. far better). At first he thought the technician had set up the trials incorrectly so they repeated it three times to prove the initial results which gave a ” what the f**k” moment were correct. Thats science. Rereke Whaakaro:@50 – I agree with you about science and scientists entirely. But the skeptics are not in any way shape or form advancing the science. They are messing up the scientific process. It is sad. Is it any wonder that they would support her policy of a price on carbon in order to win favour!!! Thanks for the post, it really made me pause and calm down. Are you ready to apologize to Jo? If not, I suggest you choose every word you post carefully and with forethought as hindsight will avail you not! Sounds to me very much like you are describing the IPCC process! There are people on both sides of the debate with extreme and unjustified views, but it is not surprising to find some sceptics become intolerant of alarmists. The IPCC process deliberately excluded contrarian scientists and made claims which were straight from the propaganda pages of groups like WWF. The alarmists claimed the science was settled and used Al Gore, supported by data manipulator extraordinare James Hansen, as their poster boy. We then had the alarmists claiming anyone who disagreed with them were from the lunatic fringe or in the pay of ‘big oil’. We were told that not a single credible climate scientist disagreed with the conclusions of the IPCC reports and we were even told by Australian IPCC blue eyed boy David Karoly that there had not been a single peer reviewed paper refuting AGW. We even had climate alarmists suggesting in one campaign that sceptics should be blown up! This is hardly a shining example of the way science should be done, and the way in which science should be debated. It gives you zero room from which to take the high moral ground. Even if we all made a deliberate effort, I doubt sceptics could get close to the wrong arguments, and the bullying and besmirching perpetrated by the alarmists side. There’s nothing like “denying from authority” How’s this? I haven’t read all the e-mails, but the most recent one is more than 10 years old. Unfortunately, Obama has the EPA in his back pocket and intends to use EPA regulations to circumvent what he perceives as legislative inaction. It’s likely that the court would overturn such Draconian measures, but you never can be sure. Hey Eddy, if Jo asked me to apologise, I’d think about it. But I very much doubt that she would. Why? But Eddy, leave Jo to fight her own fights. Obama may say but he speaks with the proverbial forked tongue. He’s a proven liar whose every word is suspect unless and until it comes true. Not many have. Another unsubstantiated opinion… are the likes of McIntyre and McKitrick unscientific because they point out methodological flaws in climate reconstructions based on tree rings? I put it to you that they are not. That is how science advances, by pointing out the errors in previous work and refining understanding, not by jumping onto the merry bandwagon with blinkers firmly affixed. Thanks for calling us sceptics BTW… a moniker any scientifically-oriented mind cherishes. I am sure Jo will pop in when she has the time. She does not hover over this site all day. She doesn’t tend to receive baseless accusations against her character too well so I would predict that she will get the ban-until-apology-is-received stick out when she gets a chance. Republicans now own the House of Representatives and since all budget and spending bills must originate there, it looks pretty bad for EPA’s ability to circumvent the legislative process. They simply won’t be funded to do it and no one can do anything about it. John, have you ever heard of Karl Popper? If the climate scientists were sincere they would, as do all legitimate scientists, make their raw data available to see if other scientists can either duplicate their results or falsify their findings. I realize that some of the information that climate scientists work with is “proprietary” but most of it isn’t. Rereke Whaakaro:@50 – I agree with you about science and scientists entirely. If, as H.L Mencken once said, “Skepticism is the highest of duties and blind faith the one unpardonable sin” where have the skeptics erred? It is incumbent upon the proponents of a hypothesis to provide empirical data and evidence to bolster and support their hypothesis. It is the duty of scientists to test a hypothesis to see if it can be falsified. The skeptics have done this time and time again. The CAGW hypothesis has been falsified. Skeptics are not inhibiting the science from advancing, they are exposing the greatest scientific fraud ever to be perpetrated upon the world. You choose to live the life of a drone who basis his existence on an appeal to authority, what a fool you are! I need to spend time with my son so you have a small window of time in which to apologize to Jo. I suggest you take advantage of it. Remember It is only a reprieve, not a pardon. Pardon is what you need from Jo! What’s to prevent the EPA from imposing fees to generate their own additional funding? I don’t think it would require additional Congressionally approved funds to impose such restrictions anyway. It’s the nuclear option, but I don’t think it’s off the table. There will reach a point when Obama comes to terms with being a one termer and a scorched Earth policy is not an uncommon reaction from an ideologue who doesn’t get their way, especially when deluded into believing that it’s for the common good. Trust me, John, I am practicing “tough love.” You do not want to match wits with Jo! You need to realize that Jo has had my back and the back of every regular poster. Conversely, every regular poster, including me, has Jo’s back. Too bad you cannot comprehend this you ungrateful wretch! It is called loyalty! John – vested interest in what? If there really was evidence for tipping points and runnaway warming, don’t you think we’d all be worried? Its the extreme lack of certainty that is driving our scepicism. I have a question for you that has me wondering. Since it appears that most AGW believers think 1970 is the beginning of the AGW phase.That is when the signature of mankind’s CO2 emission is firing up the “heaters” in the pearly skies. Since the phrase AGW means Anthropogenic GLOBAL Warming.That means it has to be GLOBAL in effect. Can you tell us where it was not since 1970? The scientific process was messed up long before “skeptics” came along and exposed them. Science broke with Hansen’s 1984 paper where he described the climate as a feedback system. He made 3 errors which were compounded by another error made by Schlesinger in a subsequent paper where he fixed the lesser of Hansen’s errors in a way that obfuscated the other two. Hansen’s errors were to assume that the open loop climate system gain is only 1, that he modeled a hypothetical system controlling surface temperatures while the actual system is a physical system controlling the Earth’s energy balance and that he made a semantic error mixing up feedback and gain (the lesser of the 3 errors). The assumption that the open loop gain is 1 means that any apparent gain greater than 1, which of course must be the case since the surface is warmer than it would be otherwise, can only result from positive feedback. Schlesinger’s error was to quantify gain and sensitivity as the ratio of temperature to power, rather than as the dimensionless ratio of like quantities dictated by Bode. To add insult to injury, Schlesinger used Bode to justify his mistake. This error led to sensitivity values that while wrong, are not as obviously wrong as values obtained when gain and feedback are expressed as dimensionless ratios of power densities. The result is that the entire ‘scientific’ basis for CAGW suffers from the 3 remaining mistakes, any one of which is sufficient to falsify CAGW. Combined, it leaves no wiggle room for CAGW, even as a remote possibility. I have a vested interest. I benefit from industrialised civilisation and want it to continue. Can someone please direct me to reliable measurements of both the thickness and the area of the Arctic icecap. I know about the doubts relating to the conventionally accepted idea that the ice is retreating and getting thinner, but pointing out flaws is not enough. Who has taken actual measurements showing that the ice is in fact getting thicker and/or more extensive? Huh? @76 – at this time of year, the ice is of course getting thicker and more extensive. But over the last 30 years or so, its getting less extensive – most of the time the conventional wisdom is actually correct, even though the world would be a much more interesting place if it wasn’t. There’s numerous sites with maps and graphs of extent. Don’t know about thickness…. John, try being more concise, “Don’t know” would have summed it up nicely. And, of course, you are wrong, as usual. Most of the time the conventional wisdom is correct? That is a fallacy, argumentum ad populum. Your statement which follows, “even though the world would be a much more interesting place if it wasn’t”, is non sequitur. What does it have to do with sea ice thickness? Good God, man, speaking of “thick”! BTW John, are you on your knees typing an apology to Jo? I hope the tears falling from your cheeks doesn’t land on your keyboard as that could cause an electrical shortage which could result in an electric shock which might possibly be fatal. I wouldn’t want that to happen before you posted your apology! The Arctic Ice Cap’s thickness does of course vary on a seasonal basis. In addition, the thickness varies from year to year. The annual variance is due to ocean and wind currents, not warming sea temperatures. If the wind and ocean pushes the cap into warmer waters more of it melts but what remains compacts. If a change in currents pushes more warm water towards the cap then, again, more of it melts. This might be interesting. It reports ice free periods in the earlier holocene, despite CO2 concentrations around 260 ppm. If polar ice is the question, then CO2 is not the answer! Good point. However, fees are not within the EPA’s charter as far as I know. So I don’t think they can ultimately get away with that (could be wrong). The other problem is that making a rule is of no use unless you have an enforcement mechanism to go with it. I have heard an estimate by one talking head that about 20,000 people would be required to keep track of it all. Who knows for sure? But it isn’t going to be done on pocket change and control of the purse strings gives you lots of leverage. This is all very debatable and I’m sure we won’t be the only ones to do it. In the end though, we just have to wait and see. It won’t take long. This is the first real sign that a country, the USA, has categorically rejected “man-made global warming” and and more importantly, rejected those politicians who openly supported the introduction of “cap and trade” legislation. These politicians have been “exterminated” by the democratic vote. Prior to the mid-term election, the Republicans indicated that they would hold an inquiry into the whole issue of global warming and climate change, and hold scientists to account for some of their statements and “scientific” claims, and that they would delve into the IPCC’s “gold standard in climate science”. I have no doubt that when such an inquiry is held, it will be thorough, it will be fair, and it will identify which scientific claims are truly valid. I am sure that it will also allow the voice of skeptic scientists around the world to be heard without fear or ridicule. Such an inquiry will also give an opportunity for fairness and openness and will allow the scientific community to regain its credibility. Maybe I’m being incredibly naive but is there any reason why all those you-beaut IPCC climate models cannot be applied to the situation as it was in 1910 and project their series of temperature rises forward to the end of the 20th century? Then we could all see for ourselves how good the models are. Professor Robert Carter discusses the validation process in his book “Climate: The Counter Consensus”. He writes that validation requires that a model be rigourously tested to demonstrate that it can forecast the future behaviour of the modelled system to a specified, satisfactory level of accuracy. A 19th century James Hansen would have been worried about increasing CO2 back then as temperatures were on the rise. Lots of steam locomotives and ships like the Titanic burning coal. New fangled electricity generation stations being built to fuel all the electric trams. They would have been worried about a tipping point – gee if “it” reaches 308 ppm (10% higher) then the positive feedbacks will really kick in. We have to act now, for the sake of our children. Ironically the warming back then released the fatal iceberg which clobbered the Titanic. I used to model small area population trends, a not dissimilar process but much simpler. The demographers doing population projections only went 10-20 years into the future at local government level and about 50 years into the future at State level. The models were certainly rigourously validated. Bob Carter says the IPCC has never mentioned validation. You are right, the climate models can’t back-cast, they can’t forecast, and they can’t even surf-cast. They are dealing with a chaotic system – chaos theory – and trying to apply the laws of physics and chemistry to individual molecules, in brownian motion on a planetary scale. I wonder what they will do after lunch? Of course they compare current ice levels to the mean since serious measurements have been kept in 1979, and, as you would expect in a naturally warming world, ice coverage is on average lower now. However in 2007, when ice coverage had reached record lows the predictions were for continued record depletion until the Arctic became ice free in summer. Here is an example of such an article. A more scary prediction was made in an ABC article in February 2008 where it was suggested the North Pole could be ice free that summer. It never ceases to amaze me how alarmist continue to find ways to spread their message. I was shown this lesson plan by a teacher of English as a second language from Spain. As I mentioned @ 15, the predictions by climate alarmists of increasing melting of sea ice in the Arctic has not eventuated. This is specifically in reference to the fact that since 2007, there has been some recovery of ice coverage as shown in the graph at the NSIDC site. This is despite increasing human CO2 emissions, and if we believe some of the temperature data, increasing temperatures. The fact is we do not yet understand the climate systems fully enough to even accurately predict localised climatic conditions. I sincerely hope that a Republican House will really dig into the claims of AGW. The Wegman report debunking Mann’s hockey stick was masterful – well argued and undeniable. Congress and the US population has now become much more sceptical and a proper investigation in which data sets are subpoeana’d and computer models independently scrutinised will be the end of the AGW hysteria in the US. Thank you Jaymez at 84, that’s a good summary. “as you would expect in a naturally warming world” Can you point me to where the extra energy is coming from? Who has identified the source, measured it and matched it up with observed warming? Selling out their craft to the global warming cause…..
No one knows for sure, as is the case for previous warming periods which were equal to or greater than the current phase, eg Roman, mediaeval, but probably solar. At the same time, we don’t know why the Antarctic ice is steadily growing. That doesn’t get much of a mention from alarmists of course. Why not check out books from Bob Carter, Ian Plimer and others. Also plenty of web resources. So what are these compulsive and recidivist liars hiding now? Some of them are making “lists” of people who have committed crimes against humanity for “denying”. Green mirage is killing our future……. My opinion is that anything like this would generate a veritable firestorm of protest — guaranteed to sweep the remaining Democrats from office in 2012. I think too many would cave in to allow this to happen. Nothing irritates Americans more than would-be tyrants. As we’ve seen with health care, stimulus and a lot of other excessive spending programs, popular outrage doesn’t necessarily prevent the government from doing stupid things. Yet a campaign to prevent and delay emissions reductions, which began in the 1980s almost as soon as science began warning there might be a problem, has been so successful that two decades later it seems that substantive action, the sorts of cuts required to leave us with a planet we can recognise, are impossible to put in place. So apparently it is us “deniers” who have successfully halted their cause ? Their failure apparently has nothing to do with themselves – e.g. In the article you cite, the alarmists deny any responsibility for their own failure. And the call US the deniers??! Well, according to the Grace satellite measurements its not growing in mass, but actually losing mass – although the extent could be growing. However, it would not be surprising for antarctic ice to grow in a warming world. A warmer world means more moisture in the air, and most likely some of this will fall on antarctica as snow. The antarctic is pretty cold, so you might expect the extra snow to stay there. So to me, the real unknown is why antarctic ice mass is decreasing. Oh, and isn’t it obvious to you guys that Huh is a troll? John, Huh? is not just a troll but instead a SNEAKY troll. He/she has been subtle and is baiting traps. Soon enough he/she will erupt into a festering troll boil which shall be lanced as we usually do. Just the same I guess it takes one to know one and it was generous of you to give the warning. Covering all bases John? An explanation in every box! Oops that last one was my view. Perhaps fines is a better term than fees. Fines and penalties are already in the EPA charter. All they need to do is put CO2 emission limitations in place and start printing money. I’m not sure who gets credit for the collections, but the EPA will certainly be able to deduct it’s costs from the receipts. They will start fining oil companies first, which will not raise as much immediate public anger since so many fools think oil companies don’t pass costs on to customers. This trickles down to airlines, transportation companies, bus and train travel, electricity generation from fossil fuels and ultimately into virtually every product sold. So, according to “SkepticalScience”, the antarctic is losing 150 Gigatonnes of ice/year, which is 150 cubic kilometers. “The first draft of the 1995 Report had a Chapter 5 “Validation of Climate Models” as in the First Report. I pointed out that it was wrong since no climate model has ever been’validated’ and they did not even try to do so. They thereupon changed the word ‘Validation’ to ‘Evaluation’ no less than fifty times and have used it exclusively ever since. For full article, Google Envirotruth No.212 or nzclimatescience. It’s going to be even more difficult for the ice to leave Antarctica judging by the latest mean temperature shown at Vostok, having dropped over 3 degrees in the last three years ! (Bring it up on the map at GISS Surface Temperature Analysis). It’s going to be even more difficult for the ice to leave Antarctica judging by the latest mean temperature shown at Vostok, having dropped over 3 degrees in the last three years ! Hmmm I may be adding 2+2 and geting 47 (So please comment) but… If the sublimation temperature of dry ice is -78.5°C and Antarctic temperatures go well below this then could the annual cycles and solar cycles change the atmospheric CO2 levels by freezing/thawing the stuff at the south pole? As well as the global SST change effects that is. This would be like pulse width modulation of the thaw time vs freeze time of CO2 in the Antarctic. The result being a long term rise in the past (matching the solar activity)and a decline beginning about now of the atmospheric CO2 levels. Also a seasonal change. Add some Antarctic nuclear testing to confuse the c14/12 ratio and what would we see? Nice work! When Brookes will ever give up in the face of science is beyond me! I look forward to Eddies destruction of my favorite troll over the next few post from Jo! Eddie, I so look forward to the destruction of the EPA and the their leader in the next few months. I have stocked up on pop corn! The antarctic is pretty cold, so you might expect the extra snow to stay there. Do you ever get tired of contradicting yourself? The only real “unknown” is why you are still here? Have you no shame? I would ask if you had any decency but that would assume that you were a man of character, which, based on your comments at 36, you are not! For an interesting article on the Grace canard see http://themigrantmind.blogspot.com/2009/10/antarcticas-ice-is-growing-not-melting.html As is often the case with CAGW alarmism, it is based on a MODEL! GRACE satellite observes a sum, not the numbers going into the sum. The researcher must assume his way into knowing the distribution of mass, or he must have hard data for the densities of various layers. All that is lacking in Antarctica. John, if you would have spent 5 minutes on google you could have figured it out for yourself instead of subjecting the rest of us to your mindless drivel. Nice work Twinkler@285. You deserve a rest. Is inconsistency your middle name? Still waiting on you to apology to Jo, John! Or, are you just a glutton for punishment? This phrase is a gem: Truth does not fear investigation. I might also add, “convection flows in the mantle” which have been detected by networks of ground-based gravitometers sensitive to both gravity (12 significant digits) and gradients. If you look up “airborne gravity meter” patents and papers, you find very many ideas to measure gravity from a moving vehicle, many by physicists. A large proportion of them attempt to tease the Navy by claiming that they would be able to detect submarines. This is kind of embarrassing, because submarines can operate at neutral bouyancy (they weigh the same as the water they displace while submerged), so have no first order effect on the gravity field at all. Of course, a submarine does change the distribution of mass (they are full of air!). If one wants to measure mass distribution, you need to measure, at least, the first space derivative (gradient) of the gravity field. I wonder if some of the same scientists who didn’t realize you couldn’t detect a submarine with a gravity measurement also didn’t realize they wouldn’t be able to tell what the ice mass of antarctica was from the same measurements? The dropping sea levels at the Maldives in the Indian Ocean (yes, dropping, despite the extreme desire of the CAGW alarmists to believe otherwise) has been tentatively attributed to a growing gravity strength pulling the sea level down. Perhaps the Maldives are gaining the ice the Antarctic is losing? The fact that there average temperature is around 75 degrees is a problem, but if ice can leave a place that averages -30F, why can’t it go to a place that is +75F? I’m sure some AGW scientists can create a model that proves it. Inventing an ad hom? Desperate eh? I do most of this pro bono. I fight for science and reason. (Which you break in almost every paragraph.) Then you admit you have no empirical evidence for your faith. Having a bad night John? True. And you’d never want to cling to a theory you can’t support. Right John? And you list exactly …no examples. A baseless assertion, with namecalling. In addition, there seems to be this weird idea abroad that anyone should be able to understand the science. Yes, it’s called free speech. May the best speaker win. You are free to convince me I’m wrong. That we no longer delegate to experts, but that all of our opinions, no matter how ill-informed, are valid. I think its called post-modernism. It takes a long time and a lot of effort to get a real understanding of any part of science. Its like climbing a mountain – the more you work, higher you get, the more you see. What we have at the moment is morons in valleys claiming that what they can see is as good as what someone who is way up the mountain can see. .
What we have at the moment is moron-minions and acolytes in valleys ignoring thousands of unpaid whistleblower scientists shouting from peaks who are pointing out egregious flaws while the lap-dog servants of all-seeing-fake-Gods bow down grovelling to their authority, their fame, their status. OK. So you’ll chuck the catastrophic part of CAGW then. Good to have you on our side. As for an apology, yes, please, I have defended you here against skeptics, snipping your name from their attacks, because you have a real name, a real email, and have on occasion written with a honesty I respect and welcome. Eddy is merely asking you to be polite and logical. I thank him. Hey John Brookes,how come you passed on my question I posed at post # 70? This is a question that seems to get ignored a lot.How come John? Also as I pointed out, the EPA will need a large organization to make their rules stick. They can’t put that together in a day or two. And I still think fines/fees will only go so far. Control over the purse strings is very powerful. If what I see being served in restaurants is any indication, Americans are ignoring the food nannies in droves. I drive the freeway every day and same thing, people are voting with their tires on the road and their dollars at the gas pump. And it’s against having their freedom restricted by both elected and unelected tyrants. We all want the freedom to make our own decisions and stand or fall by them. Only a brainwashed fool wants the kind of security that comes from letting someone else control their life. We’ve been letting that freedom slip away. But the fight back has started. The excesses of one president’s administration have been the tipping point. The American people are not as stupid as John Kerry and Joe Biden would have you believe. I don’t know how it will all play out but I have a lot of faith in the American people. The fight has only just begun. It would appear from Jo’s comments at 108 that she would like an apology. If you do not Apologize then I suggest that you have “Everlast” tatood backwards on your forehead. That is to remind you every time that you look in a mirror that you elected to be, for the rest of your life, this site’s CAGW punching bag! That’s not fair John! We correct your stupid statements all the time! I’m sorry John, that you’re not able to understand the science — I’m glad you realize it, as it has been obvious to many here for quite a while. I know that misery loves company, but it’s my duty to tell you that many of us here don’t have that problem. Instead of complaining that we don’t bow to the experts you think we should (and how do you evaluate them, if you can’t understand their arguments? ), why don’t you put in the time and effort yourself? Many of us have spent decades doing just that: earning advanced degrees, becoming working scientists, university professors, etc. At a minimum, why don’t you try understanding that scientific disagreements are settled by reasoning and experiment, not the pronouncements of authorities — and especially not “authorities” designated by people who don’t understand the questions. I’ve found that grade school kids grasp this concept pretty quickly when it is presented to them. It’s past time you learned it. Instead of all the wasted words why don’t you show us the empirical evidence that CO2 — or any other “greenhouse” gas — is actually heating the Earth. Are you the hen who can deliver the goods or the rooster who can just crow about it all day? Good Lord, a jeremiad of truly biblical dimensions! Maybe Jo will pass the hat around for a box of Kleenex. Oh, what’s that Jo? You won’t! Sorry John. John, did you ever get around to telling Steve McIntyre where he was wrong? I’m sure he’d just love to read your pearls of wisdom. His website is “climate audit”. But you knew that, didn’t you. We’ll all be here cheering you on, John (snigger, guffaw, chortle). “Ambrose” (90), I have been making my own list of green communists who will be first up against the wall!! Good Lord, a jeremiad of truly biblical dimensions! Hey Mark! John Brookes is useful after all. I’d never heard of that word jeremiad before and had to look it up. So I learned something from John’s long lamentation. If the “experts” you are so willing to bow before had proof of their claims (or even strong evidence of same), they wouldn’t have to be complaining about not getting any respect. We don’t respect them precisely because they can’t back up their claims; That, and they (and dopes like you) whine (US spelling) that nobody else can understand what they do (presumably, because they are so incredibly smart). I’ve never seen anything in science too complicated to be explained by someone who knows what they are talking about. Read Richard Feynmann or Freeman Dyson, for example. (BTY, Dyson thinks “climate science” is BS.) I’ve seen a number of charlatans and con artists make this claim, however. Of course, you’re not even at this level of BS: You don’t know what you’re talking about, but claim to know who does. Right. Give it up — nobody here is stupid enough to fall for that. Find some website where everyone is just dying to find someone to tell them what to believe, because the world is just too complicated for them to deal with. I’ve seen a lot of comments on RealClimate like this — you would fit in just fine. That is interesting! I realized that describes the “nation” of AGW supporters. Afraid of the rest of us. Now I can’t decide if JFK was speaking philosophically or if he was speaking as a prophet?………. Hey Jo@108, I guess we just see the world differently. Can you remind me what I need to apologise for? Yep. Jo believes in science, logic, and experimental data — you are a “true believer” who is afraid of engaging anyone logically for fear of falling into heresy, so you are left with denigrating the infidels and repeating (cutting and pasting), mantra like, the words of your cult leaders. This kind of unsubstantiated crap probably flies on RealClimate, but here you are on Joanne Nova’s blog. What “you” need to apologize for is insulting your gracious host. We are all guests on her blog, and post here at her sufferance — she has even admonished some of us for being too hard on you. (Heck, I’ve even stood up for you.) It’s the height of incivility to insult your host. If you were a guest at my house and insulted me, I would show you the door. Instead, you have been asked to apologize. If you are too dense to even understand your insult, you should be banned. IMO: back it up, apologize, or get the boot. See the world differently? What planet are you from or on? Who dresses you in the morning? Perhaps you should get a new caretaker? Do you remember this ridiculous comment you made? Well, she asked for an apology so give her one! Quit acting like an ungrateful moron, John! I think John Brookes has crashed and burned on this one. Not only are the people who have commented making a judgment, all the others (how many daily visitors?) are judging also. It’s a performance to be truly ashamed of. Sorry Eddy, I still don’t understand what I have to apologise for, and I’m hoping that Jo can explain so I understand. Trust me, I’m pretty quick off the mark with apologies – just ask my ex-wife! But (sadly in that case too) I often have no idea what I’ve done wrong. And simply quoting the offending paragraph back to me doesn’t help – I wouldn’t have written it if I thought I’d have to apologise for it. So just go back and take a look you silly jackass! I cannot believe you are that dense. John, in my last post, # 59, I referred to you as an ungrateful moron. My statement was in error as a moron has an IQ between 50 and 69. Based upon your obtuseness perhaps I should have typed imbecile (IQ between 20-49) or idiot (IQ below 20)! Apologize or consider yourself banished and ostracized. In other words, none of the other posters will want to play with you anymore! I’m not sure whether your question is genuine, simply because if I could answer the question, we would probably have all the scientific knowledge to properly model the climate unlike the embarrassingly simplistic approach the IPCC currently uses which is to basically exclude every known variable they don’t understand and focus on the one variable they want to blame. For instructional purposes and my convenience I thought it worthwhile to print an extract from an article at ‘Climate Change Dispatch’. I don’t know how many times we have to demonstrate that the IPCC’s line that temperature change over the last few decades is not unprecedented. That is the main tenet of their justification for blaming human influence – they claim it is unprecedented. I am also certain that you know the earth has experienced a number of major ice ages and has gradually warmed ‘naturally’ from those ice ages. The term ‘naturally’ is used in that it happened in the absence of human influence. I do not have to be able to prove how or why, to be certain that it was natural – as you would know. According to the 2007 IPCC report (AR4), the global average atmospheric temperatures have risen 0.8oC and the global average sea levels have risen 0.2 m (about 8 inches) since the late 19th century. It turns out that during the Holocene, the 12,000 year-old geological epoch in which Civilization has been existing, there have been several periods with temperatures and sea levels higher than the present ones. For instance, in the Middle Holocene, around 5,000-6,000 years ago, the sea levels were up to 3 meters higher and the average atmospheric temperatures were 2-4oC higher than the current ones. Also, the so called Medieval Warming Period occurred between the 10th and 13th centuries A.D., when temperatures were 1-2oC higher than the current ones. As to the variation rate of those indicators, the temperature rise since 1870 means an average rate of less than 0.6oC per century. Well, just before the beginning of the Holocene 12,900 years ago, when the Earth was recovering from the last Ice Age, the temperatures fell again suddenly and a very cold period (called the Younger Dryas) ensued and lasted for some 1,300 years before the temperatures rose again to reach the levels prevailing during the Holocene. In both transitions from warming to cooling and from cooling to warming conditions, the temperatures fell and rose between 6-8oC in just a few decades, a rate one full order of magnitude faster than the one of the latest 140 years (it clearly indicates that the Earth can go without the contribution of the human carbon emissions in order to produce such extreme climatic oscillations). The same can be observed in the sea level, which rose 130 meters since the peak of the last glaciation 22,000 years ago. Most of this elevation occurred between 18,000 and 6,000 years ago, when there was a rise of 120 meters – an average rate of one meter per century, seven times faster than the recent rising rate and fast enough to make quite an impression on all the ancient peoples who inhabited the continental shores (it is not a coincidence that many of them had legends about a world deluge). All this can be inferred from geological, geomorphologic, glaciological, oceanographic, biological, archeological and historical evidences from all continents (the excellent http://www.co2science.org website provides an easy access to hundreds of such studies). Hence, the big question: if in the Middle Holocene, when dung and firewood were the only fuels used by Mankind and the world population was at least two orders of magnitude smaller than today’s, there were temperatures and sea levels considerably higher than the present ones; if the atmospheric warming at the end of the Younger Dryas 11,600 years ago and the sea level rise between 18,000 and 6,000 years ago were much faster than the observed since the 19th century; so, where are the evidences that would allow us to point to the “human fingerprint” in the small variations of the latest 140 years, against the background of the much wider and faster natural oscillations of the historical and geological past? Guys, guys! Please be specific! I will not offer a blanket apology for my miserable existence and all I have ever done, said or thought. If I did that, I would be a moron, eh Eddy? Oh well, looks like time to find another way to fill in the idle moments. Thanks for the wonderful news! If the time you spent here was “idle” then you are a bigger fool than I thought! What business does an English teacher have pushing AGW propaganda? People that do that should be fired. 2) It is not good for your career if too many others realize your ideas are really simple. The Art of Mathsmanship: The use of mathematics to prevent others from realizing your ideas are actually simple. 1) The most rudimentary and overused (but still effective) technique: Delete several pages of derivations and substitute the word “Hence” (or, if you are sadistic, “Obviously”). I don’t think the students had laughed so much in a technical class in their Univ careers. BTY: I got this from a book of humorous essays on science (now long out of print) titled, “A Stress Analysis of a Strapless Evening Gown”. BobC @ 131, very funny and I have (or had) that book! PS I agree that teachers should be fired for proselytizing (outside of the course that is). Perhaps some legislation to that effect would be a Tea Party plank? You could not face it,so you are running away instead.